Our strategy to segment our goggles relies on technology. 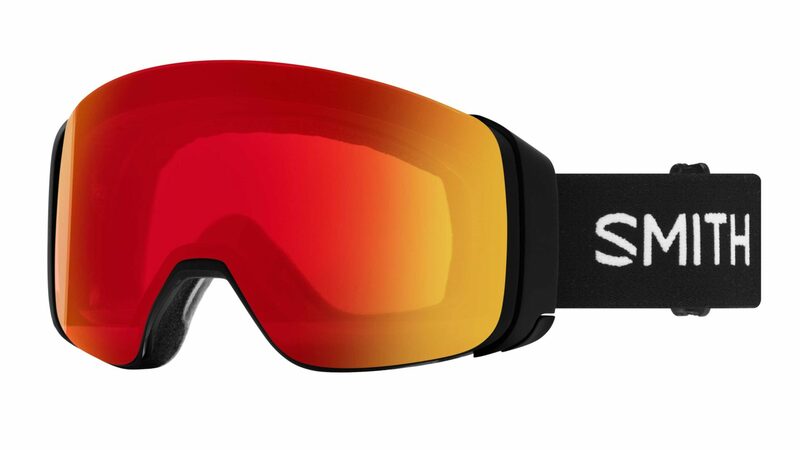 With technology like ChromaPop and Smith MAG introduced to the marketplace we’ve expanded this offering into two new goggles to revolutionize our interchangeable story. Look for this in the new I/O Mag Family. As we’re introducing an all new lens shape in 19/20, and locking mechanism to the market—it will be unlike anything else in the market place. We’ve developed something truly revolutionary to the marketplace that will enable consumers to see a whole new perspective while enjoying their day on the hill. 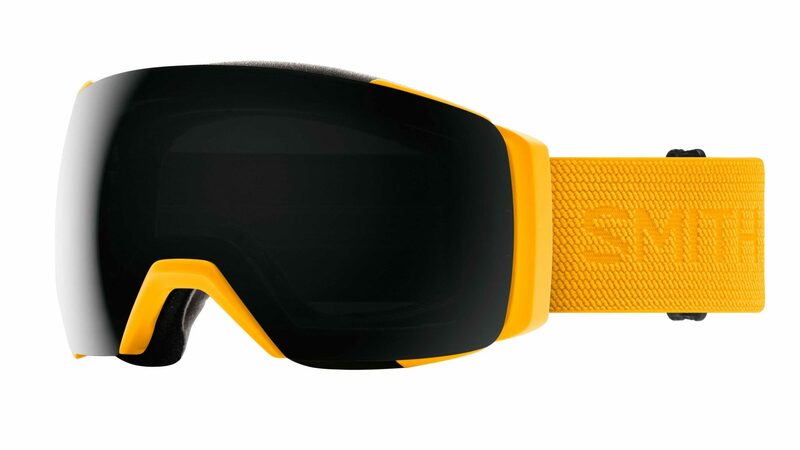 As we continue to broaden our range of MAG tech featured in our goggles, the all new Birds Eye Technology will truly revolutionize the goggle market. The new perspective we pioneered is a solution no other goggle brand brings to the table to widen the field of view. Offering the best in class experience. Utilizing ChromaPop technology allows Smith to differentiate itself with crystal clear optics for one to amplify their experience. Our goggles fit perfectly inline with our helmets. 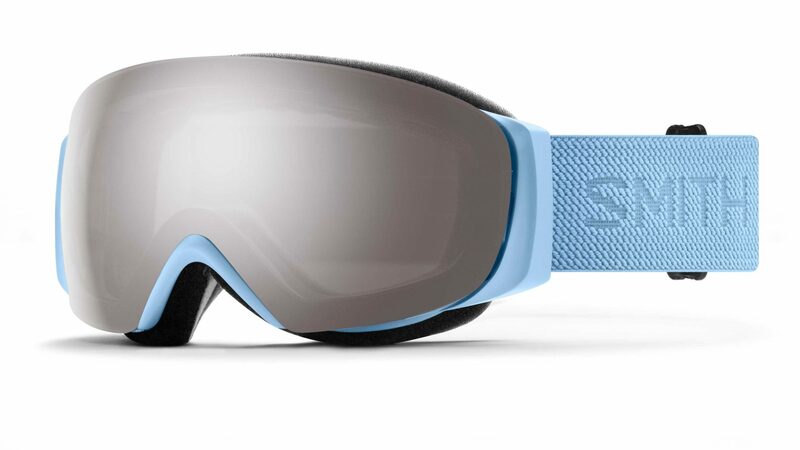 As one combines our helmets and goggles— it creates an ultimately integrate system to prevent fogging and provide the best performance for helmet and goggle combination. Our 4D Mag features all new Birds Eye technology. We’ve brought in some classic outdoor colours such as Red Rock and Ink into our capsule collections… Our focus is also to create the monotone colour story we refer to as Flood. Ultimate Integration—goggles and helmets designed to fit and function as a system. Continuing the partnership and success from 18/19, we’ve expanded The North Face collab into 19/20. As Austin Smith continues to tell the shared vision through the lenses of the athlete, we realized we have a largely overlapping roster between both brands… As we go to launch the I/O Mag XL and I/O Mag s, we found this as the perfect opportunity to tell the story through all the innovative athletes. Smith set out on a journey years ago to Pioneer a New Perspective. With years of R & D we’ve excited to announce Birds Eye Technology that provides an entirely wide field of view than anything else on the market. Birds Eye Technology featuring ChromaPop will be a revolutionary experience for consumers in 2019. You can now see more than ever before. The all new 4D MAG™ raises the bar for lens innovation with the introduction of BirdsEye Vision™. This state of the art lens technology has a 25% increase of overall field of view compared to the I/O MAG™. In addition we have evolved Smith MAG™ by integrating the dual locking mechanisms into the goggle frame outriggers to make a quick and easy lens change system. We know that with BirdsEye Vision™ featuring ChromaPop™ lens technology, you’ll be able to see even more detail as you take on untracked territory. Includes goggle hard case with microfiber bag. We took the Smith MAG™ interchangeable system and integrated it with a more expansive window to the mountains. The I/O MAG™ XL’s extra-large spherical ChromaPop™ lens enhances clarity and amplifies your experience. With OTG compatibility in mind, the I/O MAG™ XL design integrates seamlessly into helmets to provide the ultimate fit and function as a fog-free system. Performance and function come in all shapes and sizes. We packed our newest innovation, the Smith MAG™ interchangeable system, into a smaller frame and combined that with ChromaPop™ lens technology— function is not sacrificed for the fit you need. You’ll find the deepest powder pockets and the purest cord with the confidence of the Smith MAG™ interface.